Norcada manufactures single crystal silicon membrane devices for X-Ray diffraction and a range of other applications. Our standard products come with two different membrane thicknesses, 1.0µm and 2.0µm. The membrane is supported by either a 300µm or 380µm thick silicon frame. 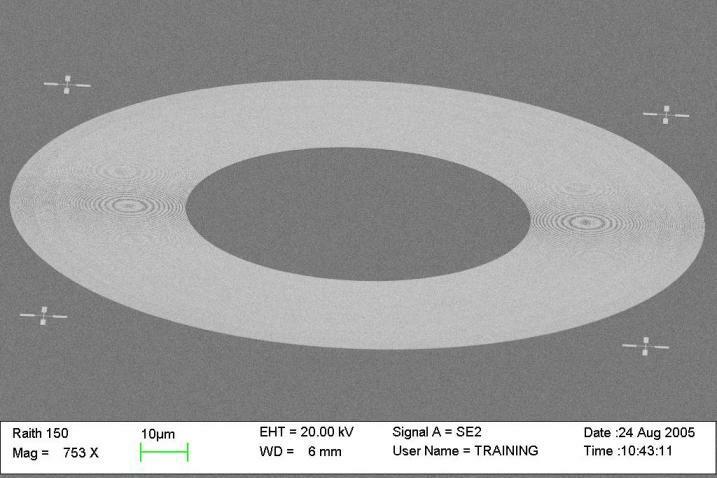 Norcada offers 100nm and 200nm thickness ultrathin single crystal silicon membranes in a standard configuration detailed below. Please note these ultra-thin silicon membranes are slightly wrinkled due to the ultra-low stress and thickness of the membrane film (see photo below). For more details, please contact Norcada. Made to order in batch quantity. Please contact us for details. For applications that require thin and flat single crystal silicon membranes, Norcada has developed “UberFlat” silicon membranes which are fabricated with support meshes to make the pure silicon membranes flat. The pure silicon membrane is centered on the window area supported by the silicon frame. For more information please contact Norcada. UberFlat single crystal silicon membrane with support mesh on silicon frame. 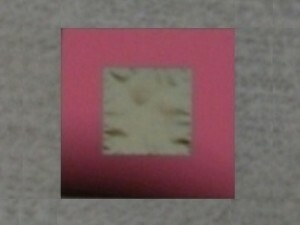 The “gold” colored region at center is pure silicon. Norcada has developed several new ultra-thin silicon membrane products using 100nm thickness poly-crystalline silicon films. The new polysilicon membranes are available in several different frame and membrane size configurations. – Temporarily out of production. Alternatives available in UberFlat family. Norcada also provides fabrication of custom designed silicon membrane devices to meet our customer’s specific requirements. Such fabrication services include non-standard sizes, thinner membranes, multi-window arrays, and windows with patterned electrodes. Please contact us if you require custom fabrication.